By the time the doors opened for the fourth annual Dress to Impress clothing drive, a line of students had already formed outside Billingsly Student Center’s Connor Ballroom. 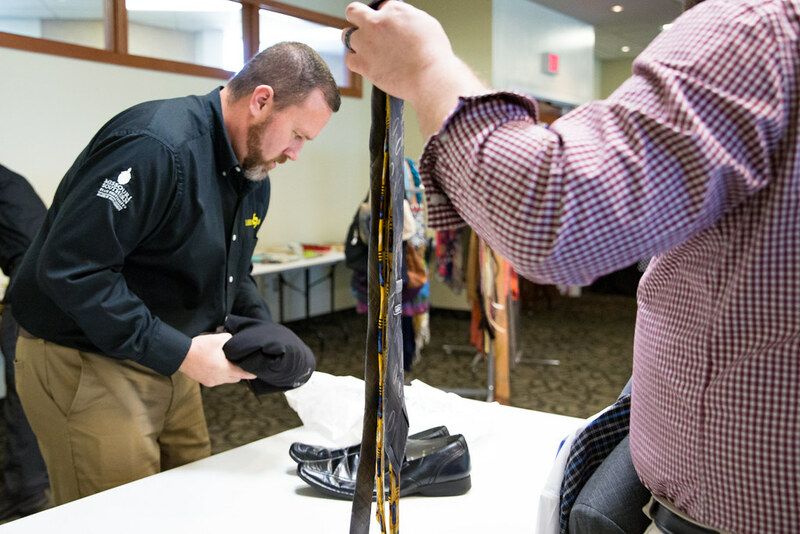 Sponsored by Career Services, the clothing drive allowed students to expand their professional wardrobe at no cost. Volunteer “shoppers” were on hand to assist them in selecting clothes they’ll need for job interviews and the upcoming Career Fair.